Renowned author, lecturer, and media commentator shared her tale of Resisting, Reflecting and Recalling in her travelogue as she tried to escape the election of Donald Trump, and rediscovering her own brand of resistance along the way. NEW YORK - June 12, 2018 - PRLog -- What makes Paula DiPerna travel? 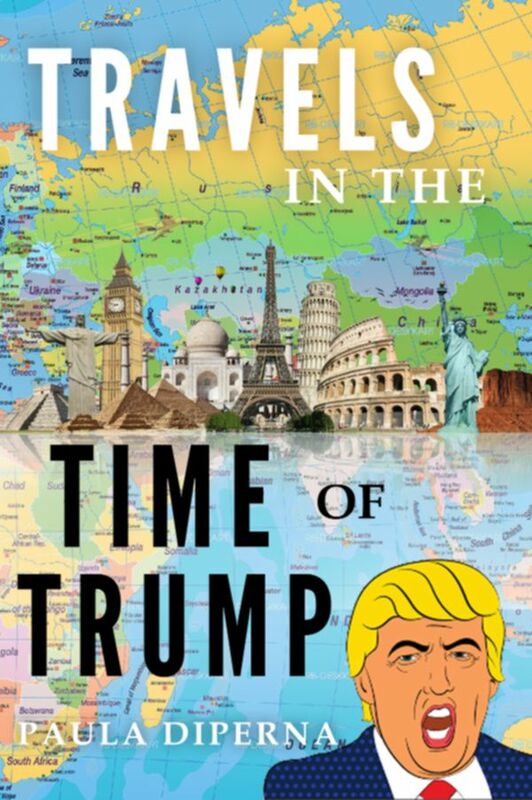 It's a good question that we put to this world traveller and author of the forthcoming Travels in the Time of Trump being released on March 9, 2018 from Endeavour Media UK and available from Amazon.com. In the wake of Donald Trump's victory over Hillary Clinton, Paula decided she needed to think about resisting. She decided to leave the United States for a while, fearing the havoc and embarrassment the new president was likely to cause, and what it meant about the U.S. that he had been elected in the first place. As she says on page three of her new book, "even if I try to close my eyes and wish away evil or ugliness that may be coming to pass, my eyes don't close and it can be time to hit the road." So she did and spent the first year of the Trump era in almost continuous travel. Her journey of political re-discovery became a beautifully written, vivid, and insightful travelogue. From New York to South Africa, London, Paris, Hong Kong, and tiny Baltic Sea Islands—across the world twice - Paula brings a wholly new point of view of life on the road, as the Trump era takes hold. She digs deep into the forces that brought Trump to victory, and as news of his travesties unfold, she takes inspiration for resistance from all sources—including a journey in the footsteps of Nelson Mandela and visiting spectacular landscapes at the top of the world. What makes Paula DiPerna such an expert? Why are her observations so relevant? Because she has seen the world and what makes it work as few others have. Her resume and biography are impressive. An activist, she ran for Congress and won l/3 of the vote on a shoestring budget. A global citizen, she worked as a producer and writer for Jacques Cousteau documentaries and traveled with him from exotic corners of the world to the private offices of Heads of State to try to solve serious global problems; an environmental leader, she has triggered innovation and breakthrough policies, a frequent media commentator, public speaker, and guest instructor. She is widely published in magazines and newspapers, and the author of a novel and several non-fiction books. "Cluster Mystery: Epidemic and the Children of Woburn, Mass" (Mosby, 1985) became a touchstone of environmental epidemiology and her novel ,The Discoveries of Mrs. Christopher Columbus, made the radical proposition that Christopher Columbus got the idea for his voyage from his wife.